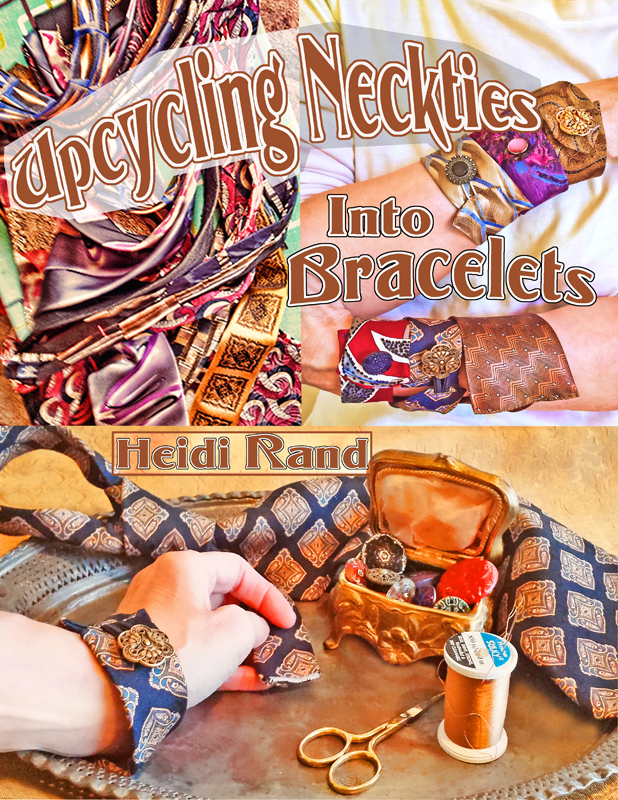 Create gorgeous bracelets from unused neckties! All you need to upcycle the swoon-worthy silky fabric of a tie into a unique bracelet is needle and thread, scissors, and a button or other closure. In my 30-plus page ebook you get clear step-by-step instructions illustrated with more than 60 full-color closeup photos guiding you through the entire process. Learn where to find ties (no stealing your husband’s faves! 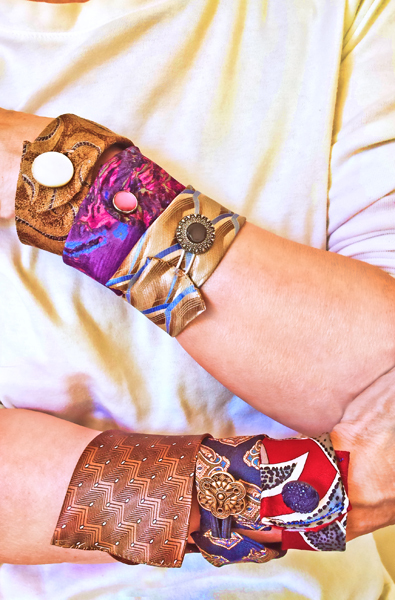 ), how to size and sew the bracelet (no advanced skills or tools needed), and finally choose which of 4 closure options works best for your bracelet. The ebook is a PDF file which you can open and print using Adobe Reader. If you don’t have Adobe Reader, you can download it free by clicking on this link. The pdf file is less than 3 MB. Skill level: Beginner through expert. Purchase the ebook for $5.00 as a pdf download by clicking the “Add to cart” button. It’s also available as a downloadable tutorial at CraftArtEdu. Shop for a personalized gift at Zazzle.